Your phone rings at all hours of the day and night. Bill collectors are calling. What can you say to stop them from calling? 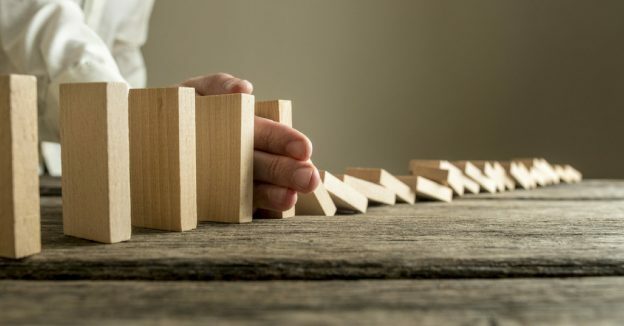 When it comes to dealing with collection agencies, knowledge is power – they have certain rules they must follow, and knowing what to say to them could stop these calls for good. At the same time, you may have a lot to gain by picking up the phone. It is possible to negotiate with your creditors and collection agencies to pay off your debt without having to file for bankruptcy. 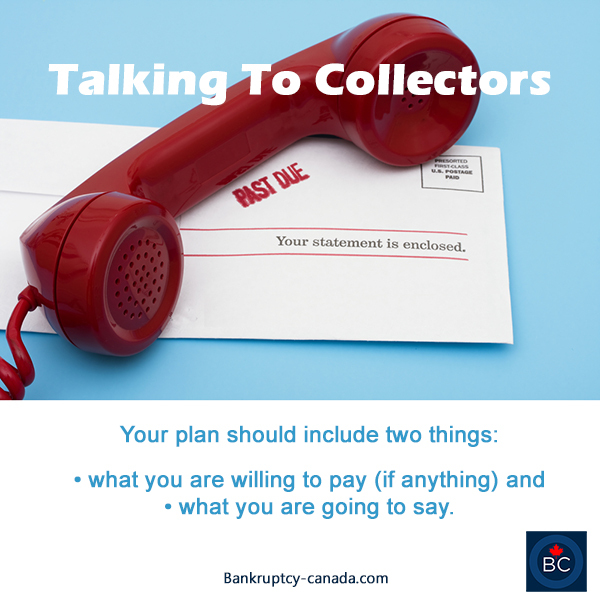 Here are our top five tips on how to talk to creditors and collection agencies pre-bankruptcy, how to discuss your financial situation and ask for relief. Our natural instinct is to avoid collection calls; after all that’s what call display is for, right? Wrong. Most collection agencies use an auto-dialer, so if you don’t answer the phone they will just call again every hour until you pick up the phone. Hearing the phone ring constantly is very stressful, so pick up the phone and talk to them. When you do pick up the phone, you will be talking to a professional collector, trained in the art of extracting money. Don’t let them talk you into a deal you can’t afford. To avoid making a deal you can’t keep, make a plan in advance. what you are going to say. Practice what you are going to say with someone. Make sure you can stay calm no matter what they say. Be prepared to ask for either time to pay and even forgiveness of part of the debt. Make a budget and decide what you can afford to pay each creditor, so that when they call you know exactly what you will propose. You can even initiate the call. 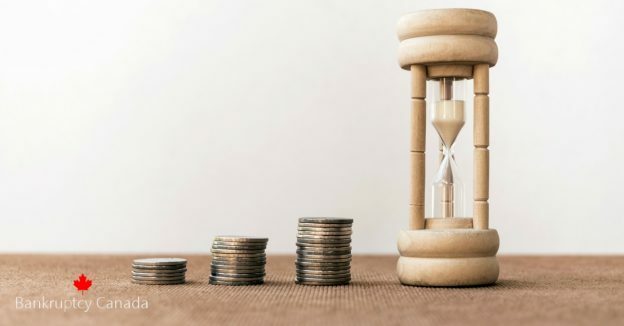 If your creditors believe your next option is to talk to a bankruptcy trustee, they are likely going to be willing to discuss some form of payment arrangement and perhaps even a settlement. Whatever you agree to, make sure you get it in writing. Collection companies get paid a percentage so they want to collect as much as possible. You creditors have a profit incentive to collect as much as possible. They are trained at getting the most they can. You need to stay firm. If all you can afford to offer is a payment of $100 next payday, that’s all you offer. The collector will obviously ask for more, but if paying more than $100 means you can’t buy groceries for your family, don’t back down. Only offer what you can afford to pay. If you can’t afford to pay back all of your debt say so. Tell them how much you can pay in total, how often you will pay (weekly, monthly) and over what period of time. 5. You are the boss. You may feel like you are being badgered, but realize that the person at the other end of the phone is just doing their job. They want to make a deal, and you are the person with the money to make a deal, so negotiate like a boss, and tell the collector what you propose; don’t wait for their suggestions. 6. Have a Plan B. This is critical, because in any negotiation you must understand the implications of not making a deal. So what is Plan B? What will happen if you can’t make a deal? It is possible for a creditor to take you to court and try to garnishee your wages. If that happens and you can’t pay them you may have to file a consumer proposal or file bankruptcy to stop the garnishment. However, it is very rare that a collection agent will commence legal action, because they earn their commission by collecting, not by suing. In most cases if they are getting a payment, they won’t start legal action. If your debts are manageable, crunch the numbers to see what works for you, and propose the settlement when the collection agent calls. In most cases you can work out a suitable resolution. If you can’t repay the debt, or have other debts as well, then your next best option may be to talk to a bankruptcy trustee about more formal debt relief options.